Sterling steadied today, helped by a weaker dollar and reports that Prime Minister Theresa May was preparing to put her Brexit withdrawal plan to a vote in parliament. May could put her twice-defeated Brexit divorce deal to a vote in parliament tomorrow, ITV's political correspondent said. Investors are bracing for volatility in the pound with British politics at fever pitch and little clarity on how, when or even if Brexit will ever take place. MPs in a vote today are likely to wrest more control of Brexit from May after twice rejecting the deal she agreed with Brussels. Pressure is building on May to give a date for leaving office and few expect her deal to get through parliament in a vote this week. 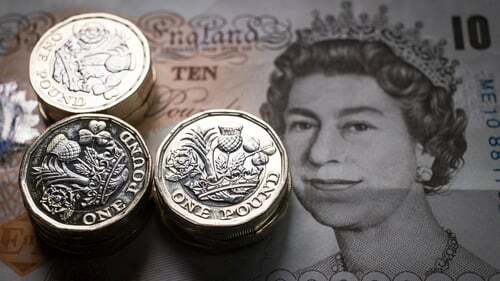 Sterling was flat at $1.3212 this afternoon, while it was also marginally down against the euro at 85.64 pence. "The extension of the Brexit deadline was shorter than many had hoped and we still have the problem of what type of consensus deal lawmakers can rally around," said Michael Hewson, chief market analyst at CMC Markets in London. Today's parliamentary votes are aimed at giving lawmakers greater control over what the country does next and could definitively pull Brexit out of May's hands in the coming days. A series of "indicative votes" are likely on Wednesday to test the water and see what could be successfully pushed through parliament.